Sadr ad-Din Muhammad Shirazi, also called Mulla Sadra was born in Shiraz, in what is now Iran, to a notable family of court officials in 1571 or 1572, Mulla Sadra moved first to Qazvin in 1591 and then to Isfahan 1597 to pursue a traditional and institutional education in philosophy, theology, Hadith and hermeneutics. Each city was a successive capital of the Safavid dynasty and centres of Twelver Shi’ite seminaries at that time. His teachers included Mir Damad and Baha’ad Din al-‘Amili’. Mulla Sadra completed his education at Isfahan, a leading cultural and intellectual centre of his day. He was trained under the supervision of Mir Damad. After he had finished his studies Mulla Sadra began to explore unorthodox doctrines and as a result was both condemned and excommunicated by some Shi’i Ulama. He then retired for a lengthy period of a time to a village named Kahak near Qum, where he engaged in contemplative exercises. 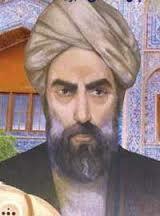 While in Kahak, he wrote a number of minor works, including the Risala Fi ‘l-Hashr and the Risala fi huduth al-alam. In 1612, Mulla Sadra was asked to abandon his retirement by the powerful governor of Fars, Allahwirdi Khan and invited back to Shiraz to teach and run a new madrassa devoted to the intellectual sciences. During this time in Shiraz, Mulla Sadra began writing treatises that synthesised wide-ranging strands of existing Islamic systems of thought. The ideas of this school, which may be seen as a continuation of the School of Isfahan of Mir Damad and Shaykh-i Bahai. Mulla Sadra’s influence remained limited in the generations after his death, it increased markedly during the 19th century, when his ideas helped inspire a renewed Akhbari tendency within twelver Shi’ism. In recent times, his works have been studied in Iran, Europe and America. According to Mulla Sadra, ‘existence precedes the essence and is thus principal since something has to exist first then have an essence.” It is notable that for Mulla Sadra this was a question that specifically applied to God and God’s position in the universe, especially in the context of reconciling God’s position in the Qur’an verses cosmological philosophies of Islam’s Golden Era. Mulla Sadra held the view that Reality is Existence. He believed that an essence was by itself a general notion, and therefore and does not, in reality, exist. To paraphrase Mulla Sadra’s Existential Cosmology: Existence is the one and only reality. Existence and reality are therefore identical. Existence is the all comprehensive reality and there is nothing outside of it. Essences which are negative require some sort of reality and therefore exist. Existence therefore cannot be denied. Therefore existence cannot be negated. As Existence cannot be negated, it is self-evident that it Existence is God. God should not be searched for in the realm of existence but it is the basis of all existence. It should be noted that reality in Arabic is ‘Al-Haq’, and is stated in the Qur’an as one of the Names of God. Mulla Sadra argues that all contingent beings require a cause which puts their balance between existence and non-existence in favour of the former; nothing can come into existence without a cause. Since the world is therefore contingent upon this First Act, not only must God exist, but God must also be responsible for this First Act of creation. Mulla Sadra also believed that a casual regress was impossible because the casual chain could only work in the matter that had a beginning, middle, and end. For Mulla Sadra, the casual ‘End’ is as pure as its corresponding ‘Beginning’, which instructively places God as both the beginning and the end of the creative act. God’s capacity to measure the intensity of Existential Reality by measuring Casual Dynamics’ and their Relationship to their Origin, as opposed to knowing their effects, provided the Islamically-acceptable framework for God’s Judgement of Reality without being tainted by its Particulars. This was an ingenious solution to a question that had haunted Islamic philosophy for almost one thousand years: How is God able to judge sin without knowing sin? The Primary of Existence solution provides the capacity for God’s Judgement without God being directly, or indirectly, affected by the evil being judged. God does not need to possess Sin to know Sin: God is able to judge the intensity of Sin as God perceived Existence. Mulla Sadra brought “a new philosophical insight in dealing with the nature of reality and created “a major transition from essentialism to existentialism” in Islamic philosophy, although his existentialism should not be too readily compared to Western existentialism. He was the most prominent Iranian Shia Islamic philosopher, theologian and Alim who led the Iranian cultural renaissance in the 17th century. According to Oliver Leaman, Mulla Sadra is arguably the single most important and influential philosopher in the Muslim world in the last four hundred years. He died in Basra after the Hajj in the year 1640 and was buried in present-day Iraq. He is buried in the city of Najaf, Iraq.